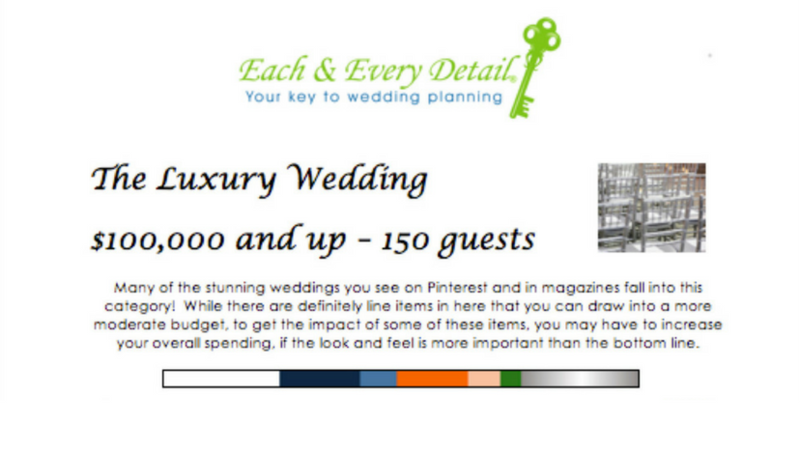 One of the most common conversations wedding planners have with their couples involves budget numbers, Pinterest boards, and a tough conversation about how much the pinned elements truly cost. 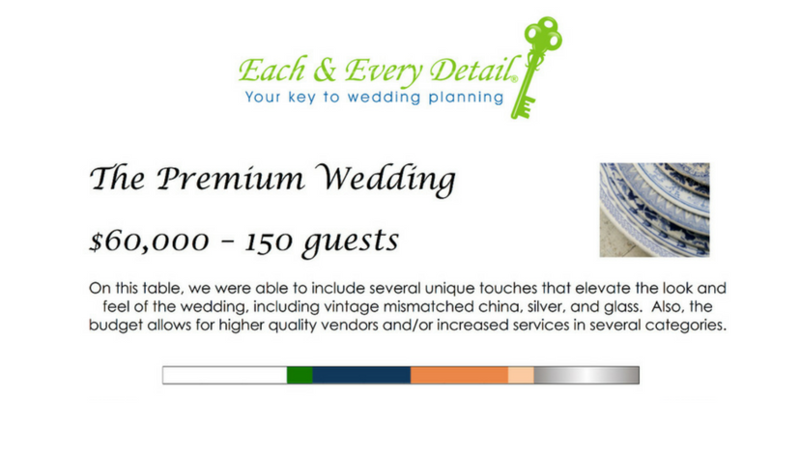 Brooke Millis, Lead Planner at Each and Every Detail loves working with couples to find a style and look that can be achieved within their budget. While not every pin can be duplicated exactly, there are ways to achieve your desired style and stay on budget. 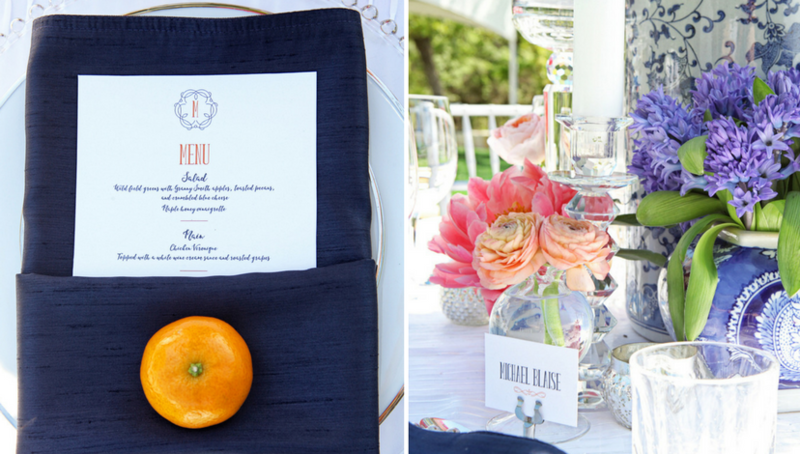 With this styled shoot, Brooke wanted to show how specific elements can increase or decrease your budget while maintaining a similar tablescape. 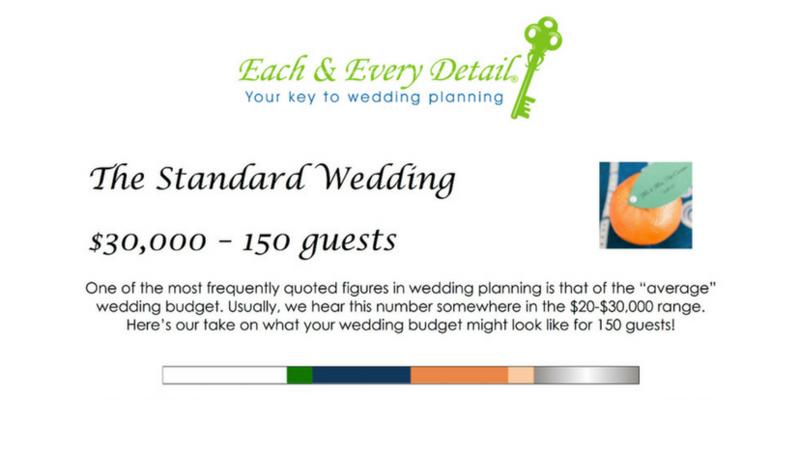 She also included mock budgets for the entire wedding, so that couples can get a sense of how what they see on the tabletop relates to the overall style and cost of their wedding. These prices are based on the Dallas-Fort Worth market, and will vary from place to place. 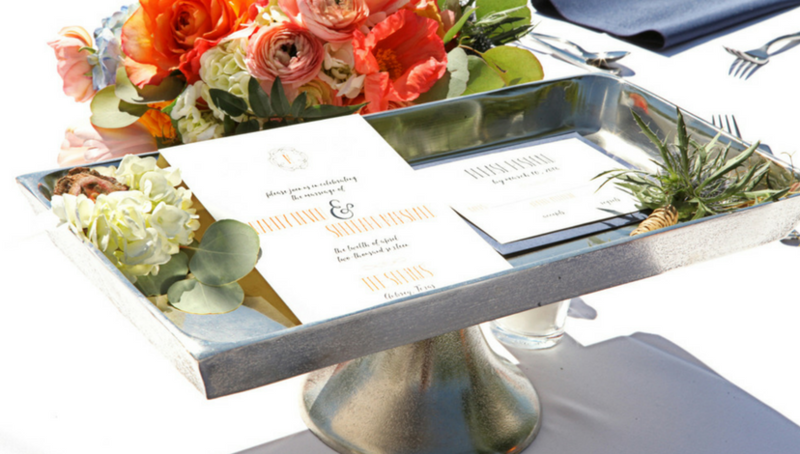 The Standard Table features a combination of real linen and silver plastic flatware, to keep the table looking set and pretty without increasing the overall cost exponentially. 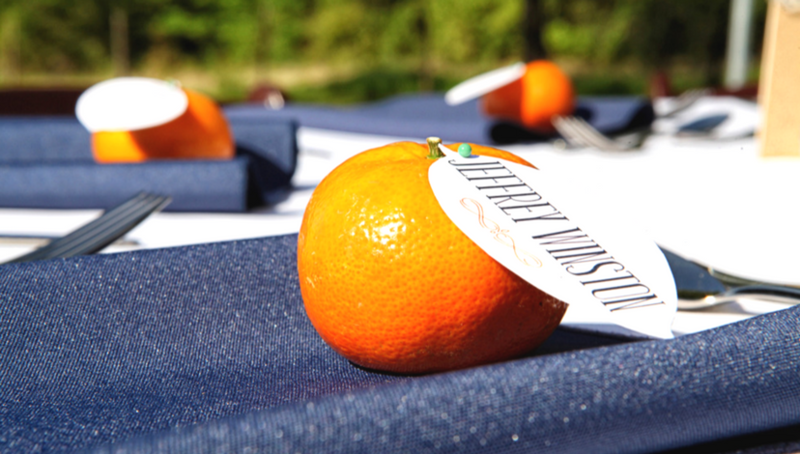 To keep the look crisp, Brooke used Classic White for the linen with Classic Navy napkins to add a little contrast. 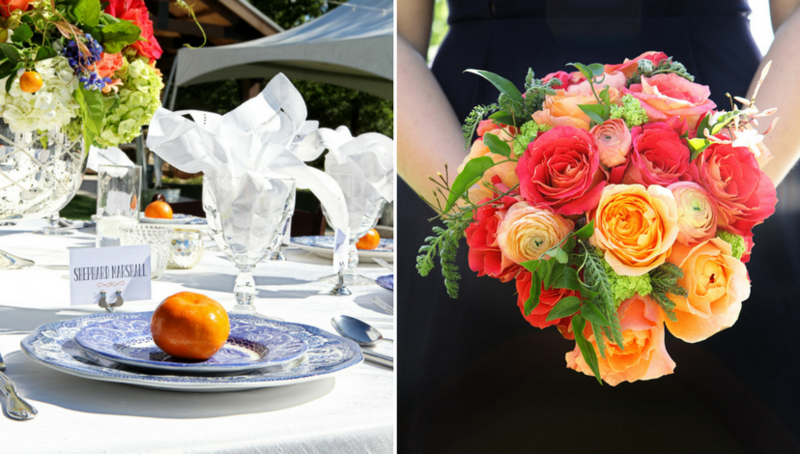 The organic, brightly colored floral centerpiece gives the table life and scope while keeping an eye on the budget bottom line. 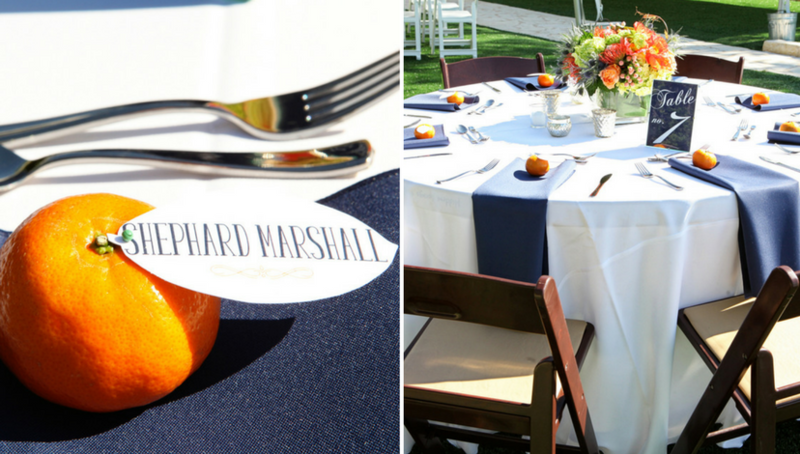 We loved the little clementines with the leaf shaped place cards to add a little whimsy to the scene! 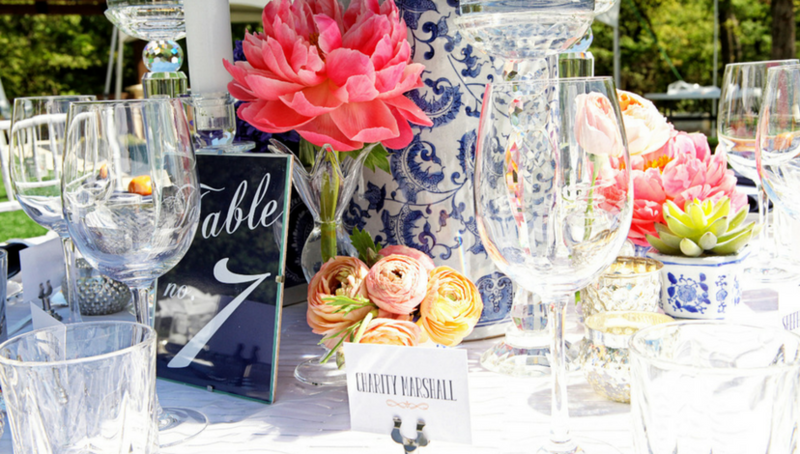 The Premium Table has a slightly more vintage look, featuring the blue and white china, water goblets, and the White Hemstitch napkins. 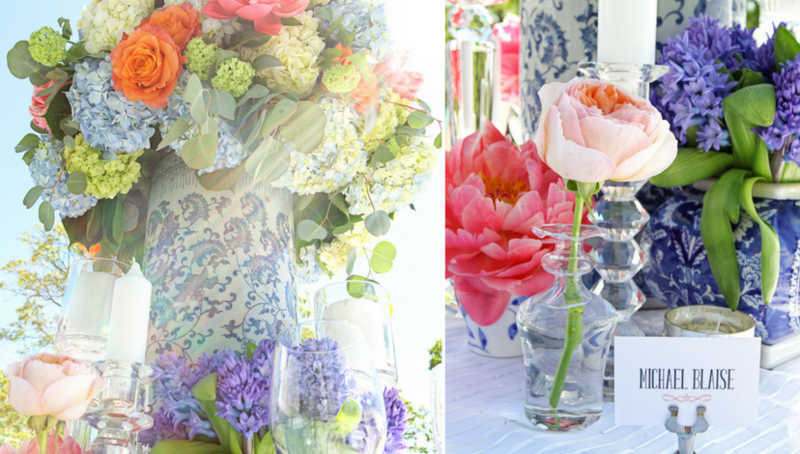 The White Shantung linen has some texture to it, which is reflected in the patterned vessel of the loose, garden style centerpiece. 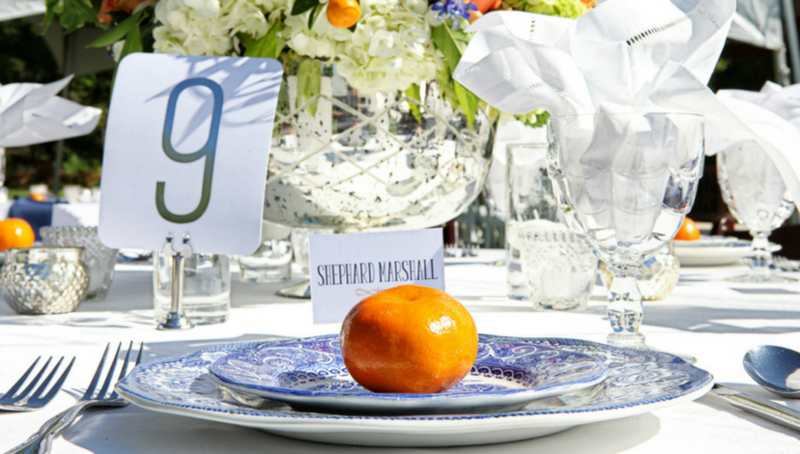 The clementines provide an extra pop of color against the white elements and the mix and match china. 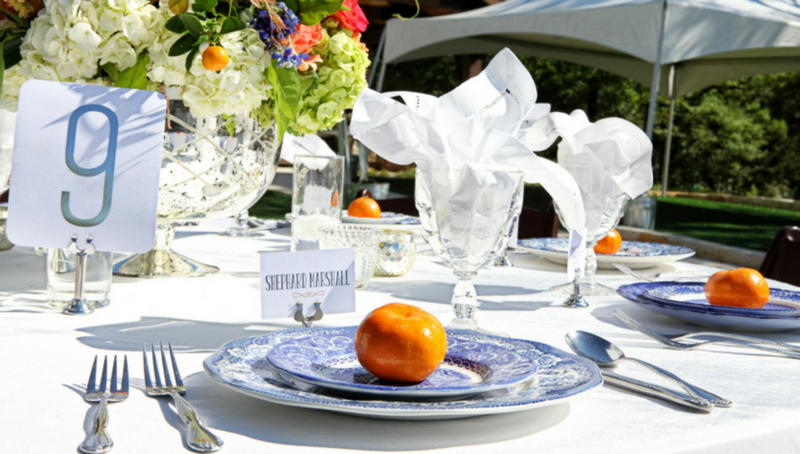 The Luxury Table is an elegant mix of silver, crystal, and fine china with a traditional, full centerpiece that’s filled with charm. 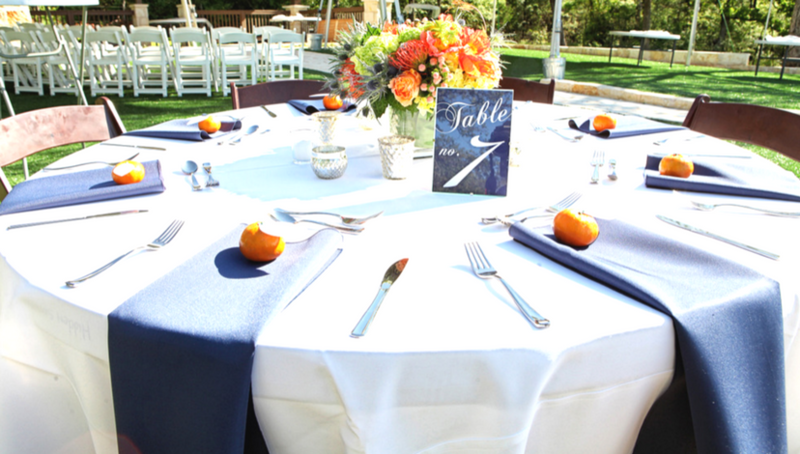 You can see the additional elements that layer on to create a finished, polished look to the table, including glass chargers, silver Chiavari chairs, menus, and place cards. 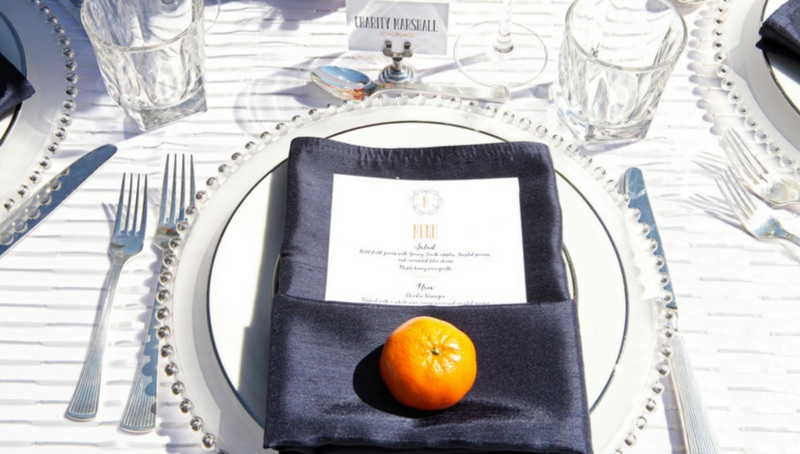 The linens are layered as well, including the Classic White as an underlay, the White Ribbon Sheer as an overlay, and the Navy Shantung napkins to add a subtle texture. 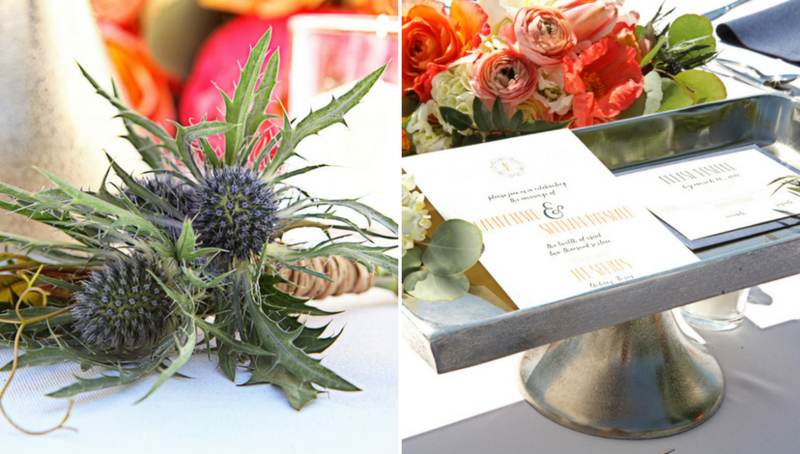 We love the small floral elements surrounding the large centerpiece – they add color and character while creating interesting individual focal points for guests at eye level!